A dedicated Garda unit is needed to police railways and protect against anti-social behaviour during busy travel periods, a leading safety authority has told the Government. There have also been calls for State-sponsored travel passes to be revoked from people who are found to be unruly on public transport. Transport Minister Shane Ross contacted key rail and bus stakeholders, including Irish Rail, Bus Eireann and Dublin Bus, to assess the adequacy of policing on their services. The Rail Safety Advisory Council (RSAC), an authority with powers similar to the Health and Safety Authority, responded last week, telling Mr Ross current security arrangements were inadequate. 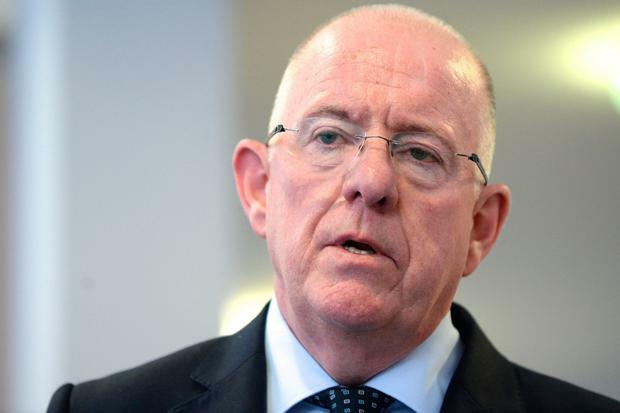 He has now written to Justice Minister Charlie Flanagan to advise him of concerns about security across the transport network. In a letter seen by the Sunday Independent, RSAC chairman John Power called for new legislation to protect customers and staff on trains, trams and buses. He also called for a dedicated transport police to deter anti-social behaviour. “These transport police can either be a unit within An Garda Siochana, which we would recommend, or a separate stand-alone body,” Mr Power said. Mr Power added the dedicated Garda unit would not be expected to be available for all journeys but must be available for journeys that involve inevitable alcohol consumption. He said travelling security personnel within the proposed Garda unit must have the authority to remove unruly passengers from a service. The RSAC chairman also called for passengers using a free travel card to have their passes revoked if they are found engaging in anti-social behaviour. He then suggested they should be put through “an education programme” after offending. Mr Power proposed the passes would eventually be reinstated but a second offence should lead to a 12-month ban from the free use of public transport. “A third offence must mean permanent withdrawal,” he added. Mr Ross said bus and rail companies already have a close working relationship with gardai to combat anti-social behaviour but he is taking the RSAC’s advice seriously. Mr Flanagan said anti-social behaviour can also be dealt with locally. National Bus and Rail Union (NBRU) general secretary Dermot O’Leary, who sits on the RSAC board, said additional security arrangements and legislation to tackle the issue must be fast-tracked. “The issue of anti-social behaviour on public transport has been a source of concern for many years,” he said. “However, we have over recent times witnessed an alarming increase in what can only be described as downright thuggery across our rail, bus and tram system.